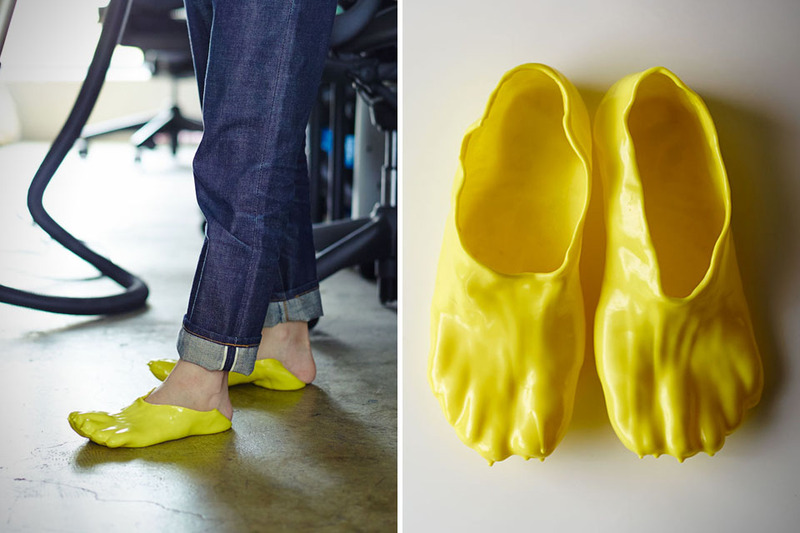 These look fu*cking strange but I am compelled to want to have a pair just to see how comfy they really are. As soon as you lay eyes on these slippers you can see right away why they use “Fondue” in their name. The concept is very simple, you dip your foot into the PVC plastic, let it harden and presto you have a perfect fit pair of one of a kind slippers. These are currently in the early staged of production as far as Ohata making household kits that will eventually be shipped to customers that can be done in the comfort of their own home so stay tuned for more information once we get it and these become available to actually purchase. 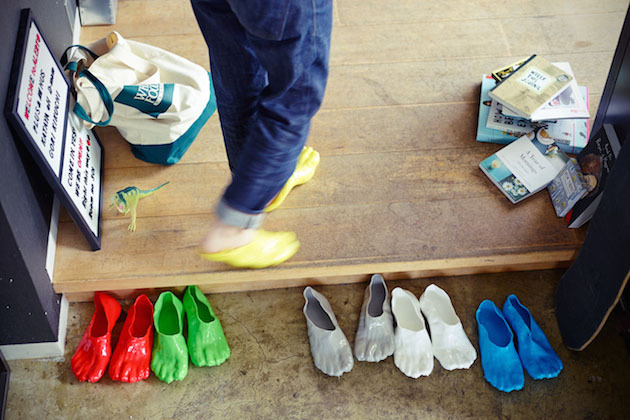 This entry was posted in Footwear and tagged Concept, Fondue Slippers, Footwear, Satsuki Ohata. Bookmark the permalink.